At Tooth Castle Pediatric Dentistry in Carrollton, Texas, the entire staff works together to take care of every patient’s dental needs from childhood to adolescence in the Dallas-Fort Worth metro area. The team at Tooth Castle Pediatric Dentistry provides expertise and skill in treating several dental and oral health conditions including cavities and offers new patient exams and cleanings, pediatric dentistry, preventive care, fillings, crowns, bridges, and tooth extractions. In younger patients, they help to maintain the health of early teeth, which can play an important role in speech development and proper chewing and serves as a guide for permanent teeth when they emerge. For those children who are scared or nervous about going to the dentist, Tooth Castle Pediatric Dentistry offers safe sedation or sleep dentistry procedures as well. The staff is devoted to ensuring that each child brought in for dental treatment is comfortable and receives the best treatment available for their needs. 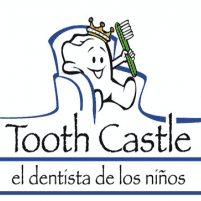 Tooth Castle Pediatric Dentistry provides the best pediatric dental care in a safe, professional, and fun environment. The practice also offers the most modern techniques in order to provide children with the best care and quality service available. The entire staff of Tooth Castle Pediatric Dentistry happily welcomes all new patients to the practice. The dentist also speaks fluent Spanish and offers Saturday appointments for families with busy schedules. Tooth Castle Pediatric Dentistry accepts most major forms of dental insurance and can work with patients who need financing as well.